The city of Waveland is aspiring towards having WiFi capabilities on the Waveland Pier Beach by the volleyball court. They want to put together a plan with a local company, DSL by Air, to bring internet connection to the visitors and locals in this area. The city has the possibility of using space on top of the tower. We talked to Ms. LiLi Stahler, Ward One Alderman, who said that she was 100% on board for the program. She wanted to urge discussions and help citizens be apart of the process. The city is holding a meeting tomorrow night, April 1st, 2014 at City Hall on Coleman Avenue on this item and voting for its implementation. This comes along side the completion of the beach volleyball court, with lights and security cameras for night time safety. Visitors and locals will be welcome to use this area during the upcoming summer months. Coastal 90 is hoping this will be a great addition for the city of Waveland as it plans for another great summer! 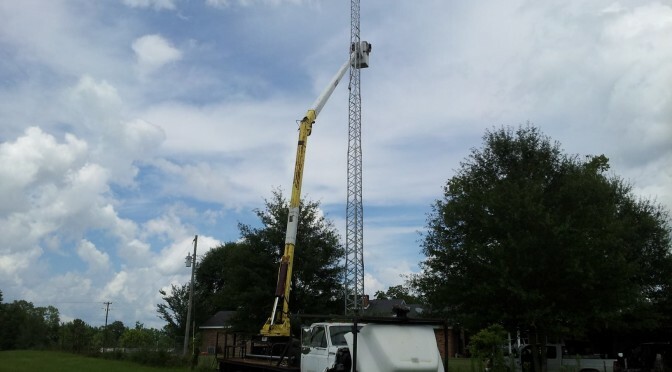 DSL by Air Works on Towers! According to DSL by Air’s website they are starting construction on the first of many water towers in the Bay St Louis area. The first tower will be on the McLaurin st and Longfellow rd tower. It is the big blue tower that is easily seen from the Walmart parking lot on Hwy 90 just west of Hwy 603. They have spent countless hours meeting with the local government officials along with the county Utility Authority. They feel that this will be a good fit for the area. These units can be great for line of sight internet. Joe Miller and his team are excited about bringing internet to the people of Waveland, and so are we! Check out their site for more information about the company and the plans for the Mississippi Coast!